Our gear expert tests five of the best women's trousers for cold and wet weather activities, from trekking and mountaineering to ski-touring. 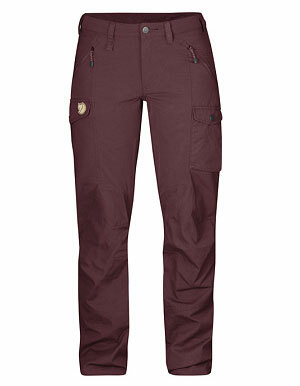 A good pair of trousers is one of the most important pieces of kit you need for outdoor activities. Stretch and mobility are two critical elements to consider when choosing a pair of cold weather trousers. Loose trousers will chafe, while those that are too tight will restrict movement. Trousers made with tough material that can withstand scraping and snagging is key, while a quick-dry material makes for a more comfortable trip when the trousers get wet. Those that provide water resistance are useful if you find yourself in a sudden downpour, to avoid scrabbling around inside your rucksack for that extra layer. Water resistance below the knee is a great plus against heavy dew and splashing water. The selection below includes insulated trousers as well as mid-weight ones that may require warmer thermal wear to be put on underneath wind or waterproof trousers. The trousers chosen here are designed to keep you warm but not too warm, and function only as long pants. They cannot be converted or zipped off. 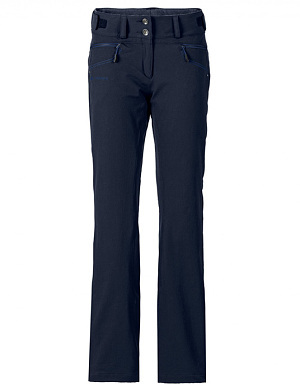 These comfortable, high-stretch trousers are robust yet allow great mobility. Their double-weave outer material and brushed wool lining to the knee keep you very warm. The waistband closes securely with two buttons and is adjustable with Velcro tabs. The bottom hem is also adjustable using elasticated toggles. The pockets, two front and one back, are on the small side. With a comfortable yet slim-fit cut, these feel as good as they look. Ideal for cold weather and rough terrain. 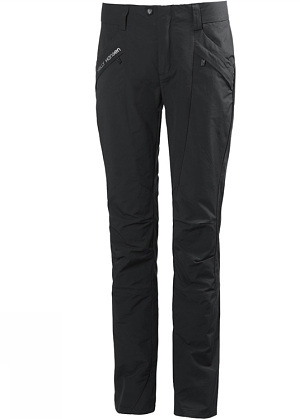 A mid-weight pair of pants that are insulated, durable, water-resistant and quick-drying. The waist is closed with a button and there are belt loops (one with a hook loop) and an internal security pocket. A great cut with articulated knees and lower leg gaiters with adjustable hems. There are plenty of pockets, including two hand warmers, a zippered rear pocket as well as zippered side pockets, one with a phone pouch. Versatile, all-weather trousers offering warmth without bulk. A tough pair of trousers made from a mix of stretch panels and hard-wearing reinforcements made of G‑1000 fabric, which is mosquito-safe. The waist is fastened with a button, the knees and rear are shaped for a close fit. The waist is low at the front and high at the back, good with a backpack. Extra fabric in the crotch and inseams decreases the risk of rubbing, while zippered pockets are easy to access; one is usefully designed to fit a phone or GPS. The G-1000 reinforcements at the rear, knees and leg endings can be waxed to make them more durable, water and wind-repellent. 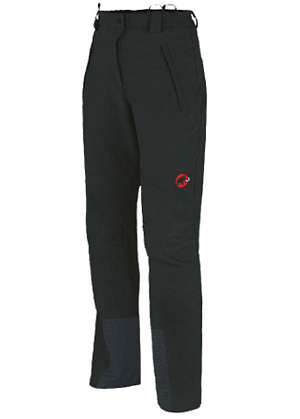 The Swedes certainly know how to build a pair of trousers that work for long-distance Nordic sports. This is one of the toughest, most durable pairs available. 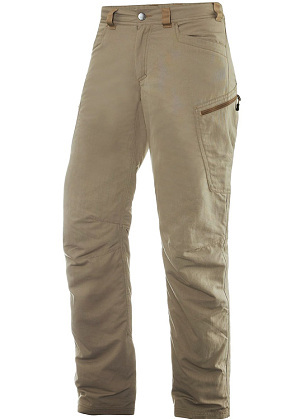 Made with a stretchy soft shell fabric, these are a lightweight, quick-drying and breathable pair of trekking trousers. The adjustable waist is shut with both a clip and an overlay popper, while the bottom leg can also be tweaked. The patterned zone construction offers good stretch in the right places. There are two open hand-warmers and two zippered pockets tucked away beneath. A versatile pair of all-weather trekking pants. A good choice if you prefer layers. Made with a clever mix of fabrics, the Mammut trousers feature super-stretch panels and reinforcement around the knees and rear. The cut is roomy but defined at the knees and has a high-cut waist. Its belt and plastic buckle can be fiddly though. Made with a quick-dry, water resistant material, these trousers perform well in wet weather. The bottom hems are adjustable with poppers, while its two zippered hand pockets, one deep leg pocket and one seat pocket all come with cooling mesh inserts. 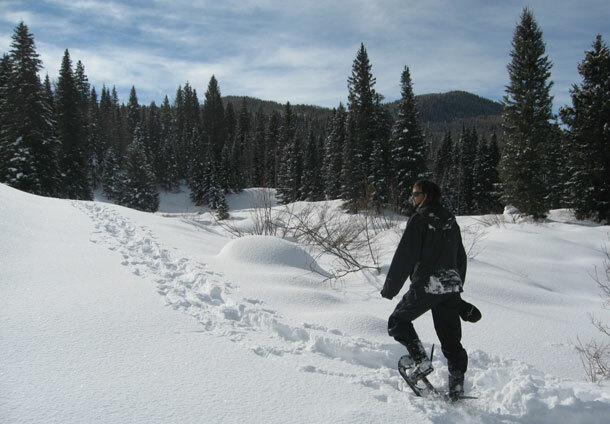 Good for ski-touring, rock and ice climbing, and general high-altitude hiking.